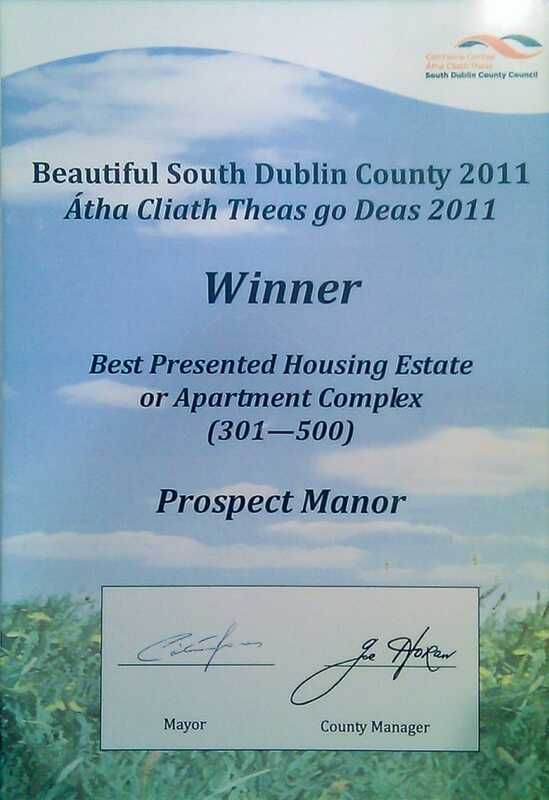 ​Award winning Prospect Manor is positioned in a stunning location just off the tree-lined road of Stocking Lane in Rathfarnham, Dublin 16. Prospect Manor has a unique charm of its own with its distinctive high quality mix of 3, 4 and 5 bedroom houses in a well-maintained Estate. 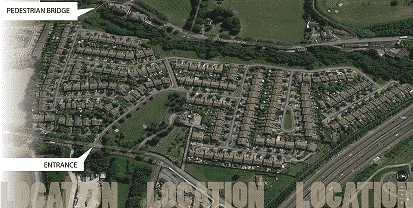 Cavan Developments and Albany Homes commenced building work on the Estate in 1992, and building continued until 1999. The Estate was formally blessed on 14th August 1999. 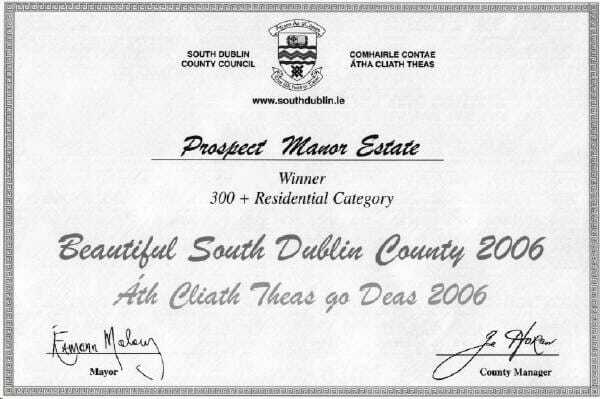 Prospect Manor was voted "Best Estate in South Dublin" in 2006 & "Best Presented Housing Estate" in 2011. We also received a runner-up commendation in 2003. Only nine kilometres from Dublin city centre, this truly is a desirable well located Estate positioned minutes from the M50 motorway and convenient to the national road network, providing optimum access to all parts of Dublin and surrounding areas. Opportunely located near a range of excellent primary and secondary schools, the Estate has an extensive list of amenities close at hand and is minutes from Rathfarnham village. On behalf of the Residents Association we hope that you and your friends find this website useful and informative.